Equipped with generous hearts and heavy hammers, 30 Del Papa Distributing Company employees and their family members volunteered with Bay Area – Houston Habitat for Humanity (BAHFH) to help build three homes in Dickinson, Texas on Saturday, December 8. Afterward, the Gulf Coast beer distributor, which is also partnering with Habitat for Humanity on projects near the company’s Victoria and Beaumont locations this holiday season, presented the organization with a $1,500 donation. 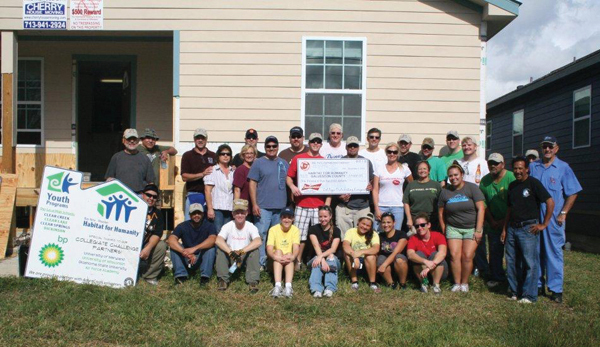 The Del Papa Distributing volunteers constructed two backyard sheds and installed hurricane strapping on one home. Through in-kind donations and gratis labor provided by local businesses like Del Papa Distributing Company, BAHFH will sell these quality homes for an average of $65,000 at no interest for 20 years to families who have income levels less than 60% of the area median. Bay Area – Houston Habitat for Humanity was founded in 1991 and is the only non-profit home builder in Galveston, Southeast Harris and Brazoria counties. Over the last 22 years, BAHFH has made a difference in the lives of 130 families, helping move them into quality, safe, affordable and energy-efficient homes. 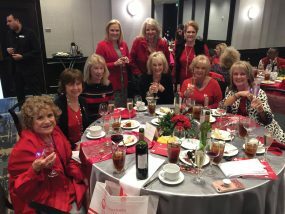 Del Papa Distributing Company commemorated a century of service in 2010 and continues to give back to the Texas City, Victoria and Beaumont communities through service projects, check donations and educational scholarships. To learn more about Del Papa Distributing Company and its 100-year history of service, visit www.delpapabud.com.